Kilter Termite and Pest Control is the rat control company of choice for homeowners in San Diego, California, and all surrounding areas. 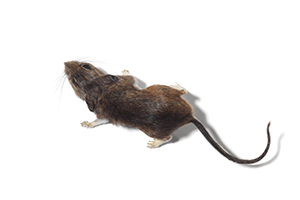 We understand how troubling a rodent infestation is for our customers, which is why we act quickly to assess their infestations and deploy our proven-effective rodent treatment system. Once our rat control system is installed in your home, we will continue to monitor the situation at regular intervals, removing rodents and rebaiting traps. After there is no more sign of an infestation in your home, we’ll help clean the mess that rodents may have left behind and provide you with a two-year warranty – the industry’s best – to give you peace of mind that rodents won’t return. We also offer an optional insulation replacement service, which may be essential in homes where rodents have nested in the insulation. To add an extra layer of pest protection around your home, we’ll use TAP Pest Control Insulation. To learn more about the benefits of turning to Kilter Termite and Pest Control to perform rat control in your home in San Diego, CA, contact us today.